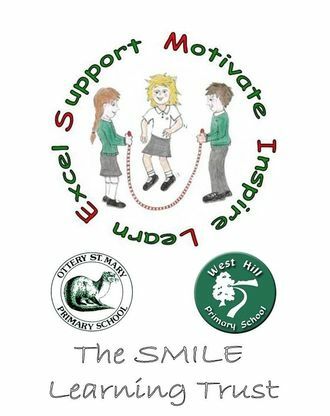 We are delighted to announce the formation of The SMILE Learning Trust made up of Ottery St Mary Primary School, West Hill Primary School, The Co-operative College and Devon County Council. We view the Trust as a fantastic opportunity to further develop the schools as well as increase the range of opportunities for all our local children and their communities. Over the coming months we will be developing a stakeholder forum which will allow children, parents and members of the local communities to contribute to the Trust. A copy of the Statutory Representation Report can be downloaded here. Later in the academic year, we plan to hold a launch event for formally mark the start of our exciting joint venture and details of this will be released as soon as we have them confirmed. Strengthen our existing rich and varied curriculum and the quality of our teaching through sharing our ideas and excel lent practice to provide the best for every child. Maximise the way in which we nurture and support all abilities, helping every child to achieve his/her potential in all areas of learning – social, intellectual, physical, emotional and spiritual. Increase opportunities to teach our children to show care for themselves, others and the world around them, to be courteous and considerate and to respect the opinions and beliefs of others. Link our two schools to better equip our children with the skills and positive attitudes to become creative and independent thinkers, self-disciplined, responsible individuals and learners for life within an ever-changing world. To develop a formal partnership to promote the continuous improvement of both our schools, for present and future generations, through the sharing of skills, talents and resources.